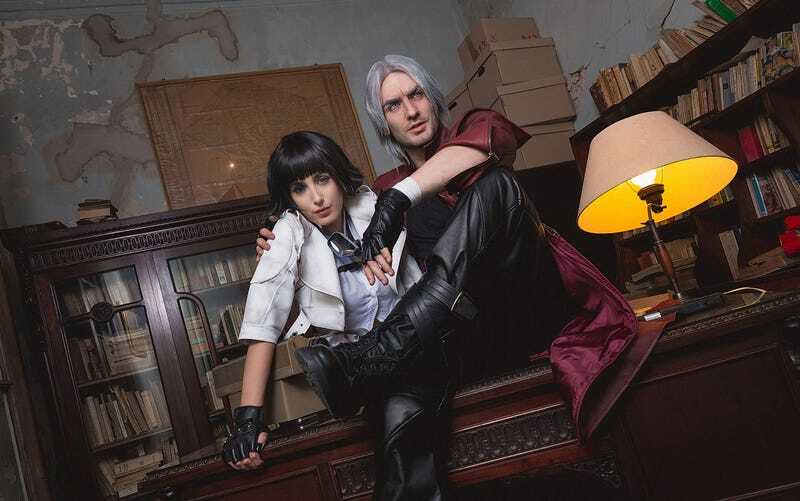 A lot of DMC fans are shipping Dante and lady, so a couple of cosplayers thought hey, if we’re doing a shoot based on the series, why not just run with that. This is Leon Chiro as Dante, while Lady is Glory Lamothe. All photos by Photographes Sans Frontieres.